NFC Tags are small programmable stickers with circuits inside that allow for communication and automation of tasks with your smartphone. There are 1000’s of different tasks that can be programmed in various mobile applications that allow you to perform a dozen tasks in one quick scan of a tag. Examples include controlling your PC, connecting to wifi without typing a password, connecting to Bluetooth devices, auto launching apps, controlling wifi lights/outlets, sending pre-recorded emails/texts, exchanging contact information, and much more. 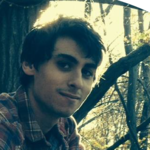 I am a mechanical engineer from Lehigh University with strong interests in entrepreneurship, product design, graphic design, and a minor in aerospace engineering. I also work at the Lehigh’s Digital Media Studio where I help teach people how to use Adobe software and use video editing software. Since I was young I have always had a hobby in reverse engineering things, modding game consoles, rooting android phones, and other tech related projects. I’ve navigated thousands of user interfaces in different gadgets and mobile applications. The idea of easy to scan NFC Tags with communicative pictograms is a result of my frustrations with endlessly navigating my phone’s interface and performing the same repetitive tasks every day. Now I just scan a tag without tapping away at a dozen different settings and apps. Kickstarter is the most popular crowdfunding platform and many other NFC related products have been very successful in the past. I believe Kickstarter has stronger brand recognition (see SouthPark’s Go Fund Yourself episode) among my market of young millennials and gadget enthusiasts. 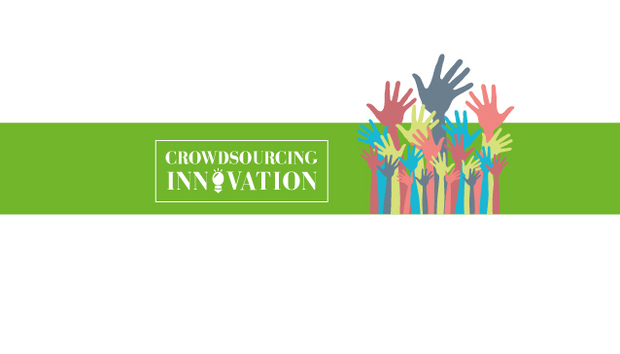 The nature of crowdfunding makes early backers very invested in the product and the future of your company. That investment creates a high bar for companies to live up to and unfortunately we frequently see unmet promises on crowdfunding campaigns. However many companies rise up to the challenge and are driven by the pressure of their early supporters to deliver a product 10x times better than what was started with. The response so far has been overwhelmingly positive with a surge in interest for NFC related products. The most disappointing thing so far is that many people love my product, but end up depledging because Apple’s iPhone 6 / Apple Watch can’t scan NFC Tags yet. I’ve had some criticism on my pictogram designs, but it’s the kind of feedback I need to create the best product possible. I went from 12-24 pictograms planned to 48-96. Don’t be afraid to change your product category. Switching from Product Design to Technology Gadgets was my first lesson. Be prepared to spend almost every day working on marketing your campaign, it’s a fulltime job. Having a well prepared website is critical to creating a long-term brand and building a high ranking in Google’s search results. Giving Kickstarter backers a reason to visit your website is a lesson many successful campaigns miss out on. NFC technology has been around for a while, why do you think it’s not been adopted on a wider scale? User education. There are hundreds of millions of devices with NFC yet the majority of those users have never used NFC or simply don’t understand the capabilities. My company aims to fill the education gap, and teach users the best uses of NFC out there. We are beginning to see a trend with users being introduced to NFC through mobile payments especially with the rise of Apple Pay. Sure, mobile payments are great but Apple is missing out on serious features, mobile applications, and NFC features that millions of Android, Windows Phone, and even BlackBerry users love. The next step is getting Apple to open up developer access to their NFC Chip so that we can create applications for iPhone 6 & Apple Watch users to scan & program NFC Tags. How do you personally use the PhoneHome Tags, and how you do think other people will use them? I use NFC Tags everywhere. When I am at promotional events I encourage people to scan the tags to link them to my Kickstarter, website, Facebook, and Twitter URL’s. In my car I have one placed on my charging station to start turn off wifi, turn Bluetooth on, connect to my Bluetooth device in the car, set the volume level, and start a music app such as Pandora. I use them in conjunction with Belkin Wemo Wifi outlets & lights to automatically start my home entertainment center. My TV, stereo receiver, speakers, subwoofer, LED backlights all power on, and the lights instantly turn off. My desktop tower is hooked up to my TV so I frequently use programs like VLC which I pause/play videos with using NFC Tags programmed by the Unified Remote App. I have actually recently partnered with the developers of Unified Remote to enhance the capabilities of NFC Tags when controlling your PC. In the future I think people will use NFC Tags to connect physical and digital spaces while creating powerful call to actions that enhance the capabilities of existing technologies. Is there a limit to how many functions the PhoneHome Tags could be used for? No. There are thousands if not millions of applications for NFC Tags. Besides driving customers to social media pages I have seen NFC Tags used on movie posters to drive individuals to a YouTube trailer. With the aid of custom mobile application and software solutions the possible business uses stretch far. There are even some businesses using them to track contractors' progress on out in the field assignments. Tags placed at industrial locations & repair sites could instantly direct employees to relevant information regarding the status or history of the current issue or task. In short I believe communicative NFC Tags are a cost effective method of improving worker productivity, creating powerful solutions for customers, and most importantly simplify the user experience when using technology. 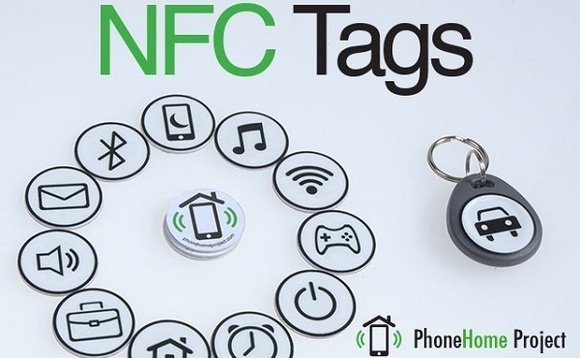 You can expect an expanded range of NFC Tag products with additional customization options. My next NFC Tag product in development is specifically aimed at businesses looking to convert in store customers into social media followers effectively. In the spirit of experimentation I’m considering using Indiegogo for this next project. I’m also looking into using NFC Tags to aid the visually impaired as I work with my university to provide tags in the corner of every painting on display to redirect users to URLs that provide audio descriptions of each art piece. In the long term our team is working on a hardware product that integrates with NFC Tags in powerful ways, but that’s all I can say.